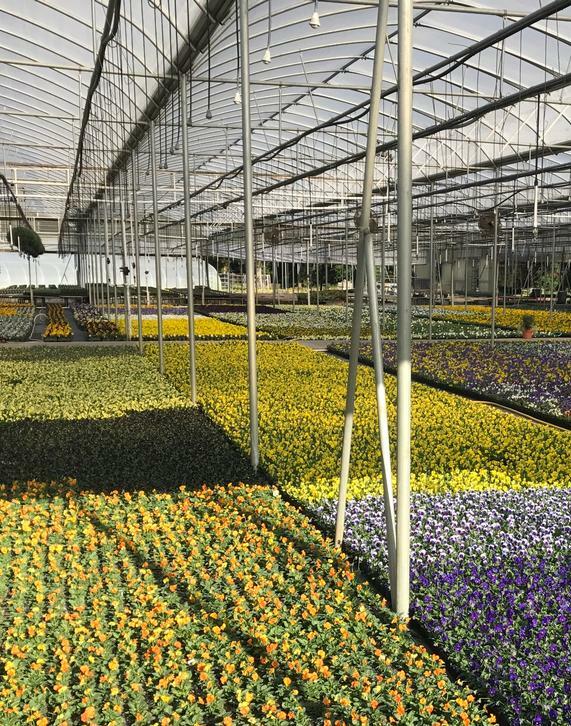 We, at Kings Greenhouse believe in working closely with our customers to create lasting relationships to ensure mutual success. In order to acheive mutual success each year our staff researches new products and offers suggestions on how to incorporate new products in with proven favorites. King’s Greenhouse offers an extensive line of quality spring and fall plant material. We produce 1,700+ varieties on a 32-acre growing range with 8 acres under plastic and climate-controlled, plus 3 acres of outdoor growing space. Our brochures list all the plants that we grow for Landscapers during the season. They will list plants by category (Annuals, Perennials, etc. ), container size. Pricing is included. The Spring and Summer program brochure is published sometime before Christmas each year while the Fall and Winter program brochure is published around mid-July. We also provide weekly availability of our annuals and perennials. These availabilities consist of plants that have retail ready quality. Our availablity is updated every Friday evening. We deliver within our market area of 150 miles. We guarantee plants to be the very best quality, healthy, insect free and as-described in the availability list. For more details on delivery have a look at our Delivery page. With over 30 years’ experience in the horticulture business we offer our customers advice on planting materials and bed preparation.